We do our best to keep the puffery in check. So when we say an event features a star-studded line-up of panelists, we think we can substantiate that claim. 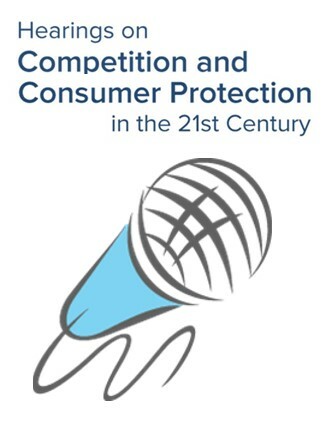 The FTC’s ongoing Hearings on Competition and Consumer Protection in the 21st Century have brought luminaries together to discuss the impact on the FTC’s mission of broad-based changes in the economy, evolving business practices, and tech developments. The April 9th and 10th hearings on The FTC’s Approach to Consumer Privacy are no exception – and you can watch the webcast live. After opening remarks on Tuesday at 9:00 ET from FTC Chairman Simons, the morning panels will discuss Goals of Privacy Protection and The Data Risk Spectrum. Commissioner Phillips will lead off the afternoon session, which features panels on Consumer Demand and Expectations for Privacy and Current Approaches to Privacy. Wednesday’s agenda is just as jam-packed, with speakers in the morning talking over the Role of Notice and Choice and the Role of Access, Deletion, and Correction. After remarks from Commissioner Slaughter, the afternoon sessions will shift the focus to Accountability and The FTC’s Current Toolkit: Is It Adequate? You’ve probably read or heard the perspectives of the stand-out panelists, but have you seen them engage the issues with one another? That’s why you’ll want to follow what’s happening. The event is free and open to the public at the FTC’s Constitution Center conference facility, 400 7th Street, S.W., located at the L’Enfant Plaza Metro. Want to watch from your device? A few minutes before the proceedings start on Tuesday and Wednesday, follow LIVE WEBCAST link. The public record will remain open until May 31, 2019. File your comments online. You can get help to fix problems caused by identity theft. You can call the FTC Identity Theft help line at 1-877-438-4338.